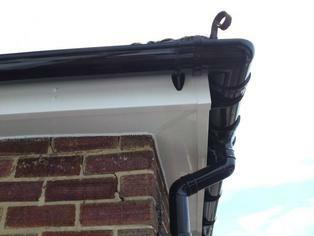 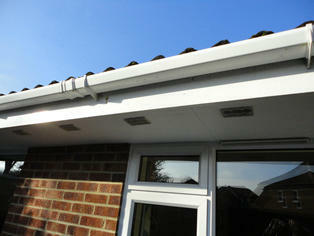 Existing old fascia, soffit and guttering. 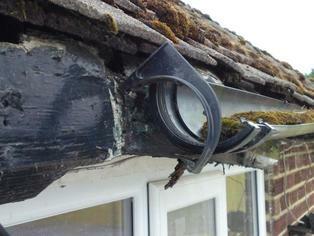 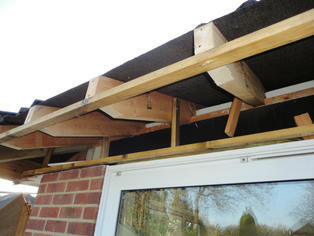 Remove first course of tiles and dispose of old gutters, cut back old felt. 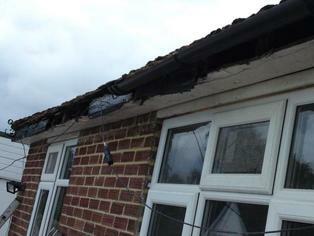 Remove old fascia and soffit. 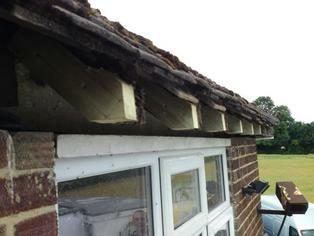 Add extra timber supports where necessary to front and rear of rafters. 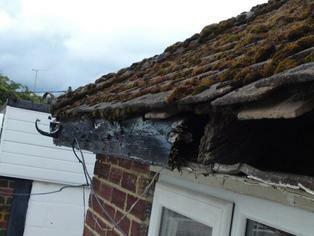 Treat all exposed timber with a wet and dry rot wood preservative. 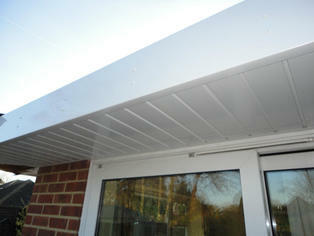 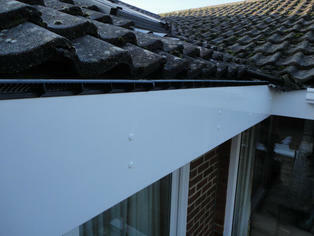 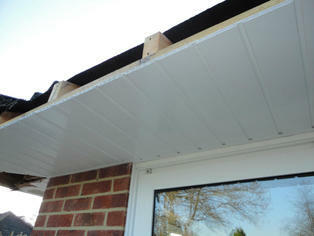 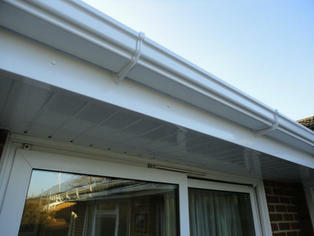 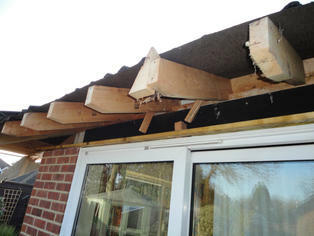 Install new Upvc Tongue and Groove soffit board or flat soffit which is available. 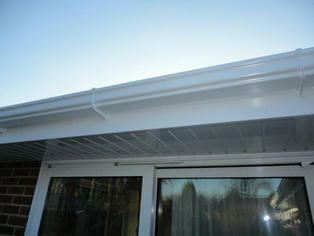 Install Upvc 18mm Fascia using 65mm white head stainless steel fixings. 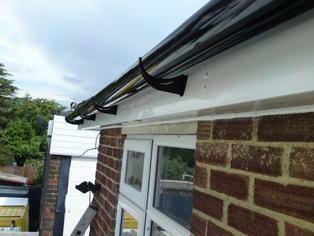 Install a ventilation system if required. 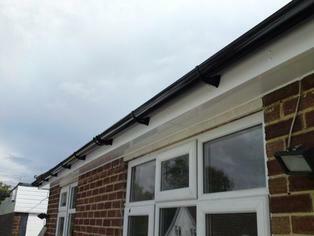 Install Ridged Eaves Tray which is fixed under existing felt, this avoids any possible Pooling or Streaking and directs water straight into the guttering system. 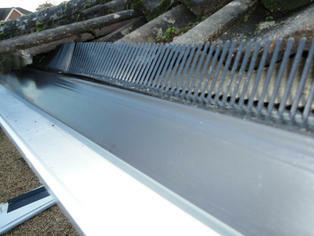 Install bird combs if required to help prevent any possible nesting. 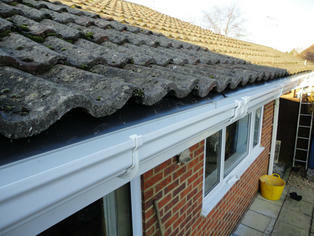 Install guttering and replace tiles.